​Arsenal continued their blistering start to the 2018/19 FA Women's Super League season over the weekend, this time hammering Reading by a considerable 6-0 score line to make it five wins from five games and a total of 27 goals scored and only three conceded. 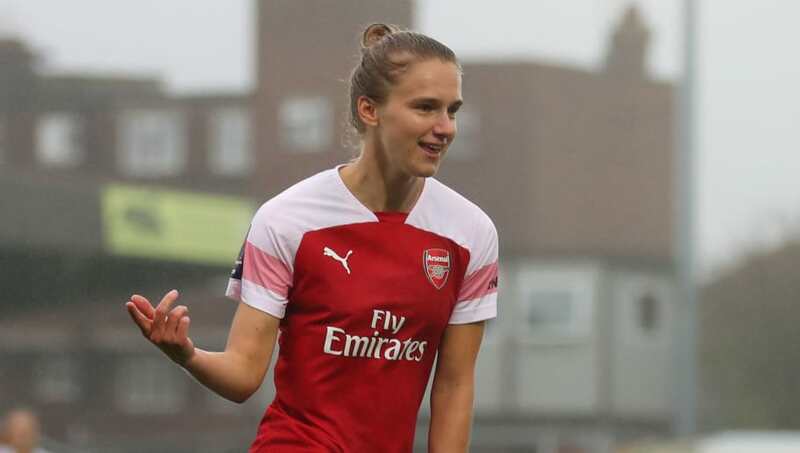 Arsenal, who hammered champions Chelsea 5-0 last week, are averaging in excess of five goals per game, with Vivianne Miedema netting her second WSL hat-trick of the season to take her personal tally to nine. Jordan Nobbs, Beth Mead and Danielle van de Donk also scored. Manchester City are now up to second in the table after a 6-0 win of their own away from home against Brighton. England Under-19 forward Georgia Stanway took the headlines with a hat-trick, while the Seagulls remain win-less near the bottom of the table. City were able to leapfrog Birmingham as a result of the Blues' 0-0 draw with Chelsea. Karen Carney had a 74th minute penalty saved by Birmingham goalkeeper Ann-Katrin Berger. The struggles continue for Emma Hayes' Chelsea after last season's heroics as they have still only found the net only twice in the league all season, firing blanks in five of their six games. A single early goal from Courtney Sweetman-Kirk was enough to give Liverpool a narrow 1-0 win away at West Ham, the first time the Reds have won back-to-back WSL games this season. It was more misery for Yeovil this weekend after a fifth consecutive defeat saw them remain rock bottom of the standings with no points. Two goals from Scottish midfielder Lucy Graham gave Bristol City a 2-1 win in the west country derby. Everton were the team not in action this week. The Toffees are yet to win so far this season, although they have one game, or in several cases two, in hand on everyone else. The second tier Women's Championship has a new leader after the free scoring Manchester United did not play this weekend. Instead, Tottenham now lead the way after in the hunt for promotion after an 8-0 annihilation of Millwall continued their 100% winning start.